Colleague Mic Smith and I were delighted with the standard of the news blogs created by our students in the capstone subject Online News Production in the semester just finished. Mic is an accomplished blogger (see his project Mic Smith Geographic). We gave students the option to work as individuals, pairs or teams and you can see the variety of their topics and approaches in this blogroll of their best work. It offers hope that these talented young people can carve out a career despite the shrinking opportunities in mainstream media. Enjoy! Winner of Best Mental Health Story – ‘On rural issues with social media’ by Gavin Coote. Winner of Best News Story – ‘The Great Beef Divide’ by Guy Creighton. ‘Ruralyarns’ covers news from around rural SEQ/NENSW. Winner of Best Political Blog – Eyes on Lilley by Clarissa Carden. ‘Eyes on Lilley’ looks at the electorate of Lilley and looks at the issues during the electoral campaign. Winner of Best Multicultural Blog – LivingGC by Maddison Johnstone and Steph Kent. ‘Living Gold Coast’ is an online news source is independently-run and is aimed at the Chinese population on the Gold Coast, whether touring or residing. ‘Brookfield and Beyond’ looks at Brookfield, Pullenvale and Moggil, which are all suburbs that possess a certain country town vibe, which continues to provide a healthy musical culture in the area. Winner of Best Mental Health Blog – Savvy, Willing & Able by Kathryn Stumpf. ‘Savvy, Willing & Able’ is a blog for Australians experiencing mental illness, and for those who love us and want to learn more. Winner of Best Technology Blog (Nathan) – Technology in Real Life by Dan Smith. A technology blog with news, reviews, and how technology and life intersect. Winner of Best International Online Story – ‘When relationship and money talks’ by Nannaphat Sritakoonrut. Winner of Best Visual in a Blog – ‘Photo of a gagged woman’ by Nannaphat Sritakoonrut. ‘Degag’ seeks to examine the current state of media censorship internationally. ‘Degag’ shall focus primarily on the state of media censorship in China, Nigeria, Thailand, Singapore and the United States. ‘Kanjiang2′ is a lifestyle blog, living and discovering elsewhere through foreigner’s eyes. Winner of Best Music Blog – Music Industry on the Inside by De-anne Whelan. ‘Music Industry on the Inside’ will find news and articles on the Business and Art of the Music Industry. From big name artists to Indie favorites and fresh new faces, as well as content on the inside of the business. A blog looking at censorship issues in and outside of Australia. An insight into issues surrounding the PNG solution presented by the Australian government. Basically Brisbane is a blog about culture and its influence on the city of Brisbane, A combination of photographs, news stories, and various other media, our blog attempts to focus on the human experience of culture within the city. Winner of Best Investigative Story – ‘Under the influence of dopes’ – by Matt Hardie. Winner of Best Sports Blog – Game on Brisbane by Denis Boca, Matt Hardie, Phillip Harsant and Benjamin Scott. A sports blog about sport and Australia. GEN-Y+WEAR is a fashion blog that enters the lives of Brisbane’s young fashion community. The inspiration that lies behind this blog is the risqué fashion choices of those known as Generation Y.
PHOTOJOURNWATCH is a blog about photographers, photojournalist and documentary photographers alike. It is a source of information and news about photographers working in this field, their work and current exhibitions and the struggles of working in the industry. Winner of Best Online Disability Story – ‘Brisbane hotels neglect disability needs’ by Arna-Leah Bullivant. This blog is about weddings and surrounding topics in Australia and overseas. Winner of Best Online Investigative Story (GC) – ‘Hendra vaccine: virus protection’ by Natasha Borg. This blog covers a wide range of journalism and current topics throughout the world. Winner of Best Audio in a Blog – ‘Young Voices are Missing’ by Chloe Pickard. Winner of Best Blog Feature – ‘High Speed Rail Future Uncertain’ by John Ray. Winner of Best Political Story – ‘Young Voices are Missing’ by Chloe Pickard. This blog will act as a valuable resource for people starting to take an interest in politics or wanting to know how politics affect them. Winner of Best Community Journalism – Pine River Times by Chris McMahon. The Pine Rivers Times is a news features blog that is centering on news that affects the Pine Rivers region. Winner of Best Community Journalism (GC Campus) – QLD Next Generation by Shirley Bredenkamp. This blog addresses the issue of the decreasing Show participation of the younger generation and the ‘Next Generation’ movement towards improving these numbers in South East Queensland. Winner of Best Current Affairs Story – ‘Synthetic drugs and background’ by Mala Mistry. Winner of Best Health Blog – Y Health Matters by Caitlin McArthur, Mala Mistry and Jordanna Tucker. Winner of Best Online Indigenous Story – ‘Australian Indigenous Students Aim High’ by Caitlin McArthur. Winner of Most Creative Video – ‘It’s not just about Equality’ by Jordanna Tucker. Winner of Best Team News Blog – Y Health Matters by Mala Mistry, Jordanna Tucker and Caitlin McArthur. This blog looks at generation Y and its health and how to know about all health related issues. Winner of Best International Online Story (GC) – ‘UN urges Indonesia to stop performing FGM’ by Alexandra Sheehy. Winner of Best Multimedia Coverage of an Event – ‘Swell Sculpture Festival has biggest year’ by Tiara Swain. Winner of Best News Blog (GC) – Blog-Her by Alexandra Sheehy and Tiara Swain. Gold Coast journalists delivering local, national and international news on topics and issues of interest to women worldwide. Winner of Best Lifestyle Blog – The Twinternet by Tristan Lal. The Twinternet is to provide a virtual arena for recent news, basic information, and feature stories about twins and multiple births. Winner of Best Mental Health Story (GC) – ‘Elucidating eating disorders and the journeys to recovery’by Kieren Bond. A blog on eating disorders and the road to recovery. Winner of Best Political Blog (GC) – Arts in Swing by Beau Gosney. This blog covers news and opinion in relation to Australian arts and politics. Winner of Best Popular Culture Blog – Why So Serious News by Lewis Warner and Rhys Woosnam. Australian-based news blog devoted to debunking social myths and misconceptions. Winner of Best Popular Culture Blog (Nathan) – Needle on the Pulse by Ben Pratt. Needle on the pulse: a blog for the record community of Brisbane, with information, interviews and reviews from record fairs, record stores and record events. Winner of Best Use of Social Media – ‘Journalism – where does it stand in the digital world?’ by Melanie Richards. Winner of Best Media Blog – The Social Effect by Melanie Richards and Richard Nguon. A blog focusing on the effects of social media on society. Winner of Most Creative Video (Nathan) – ‘The Fence Files’ by Matt Innes. A blog looking at Australian politics and current events from the point-of-view of those with no point-of-view. Winner of Best Social Issues Blog – Sekend Chances Blog by Samantha Leeson and Rhiannon Smith. The aim of the blog is to create links between people with convictions and the community. Winner of Best Sports Blog (GC) – GC Fit by Roxann Grover, Shannen Kiely, Shae Killey, Chloe Patterson and Matilda Revere. This blog providing news and tips on health, fitness and food. Winner of Best Blog Graphics – Surf or Stack by Brett Loccisano. Surf or Stack is a unique space that compares the rural mining town of Mount Isa with the thriving coastal city of the Gold Coast. Winner of Best Fashion or Beauty Blog – Kent Street Style by Lucinda Kent. Kent Street is dedicated to comprehensive coverage of issues facing the Australian fashion industry including interviews from designers, stylists, photographers, and buyers. Winner of Best Fashion or Beauty Blog (GC) – Beauty and a Blog: Terri Talks Beauty by Terri Hayward. This blogs includes, a video interview with make-up artist, Ashton Wood and a story on YouTube blogging with various bloggers around Australia. Winner of Best Technology Blog – The Otaku’s Study by Sam Worboys. The main goal of The Otaku’s Study is to help promote companies and their releases to the public through regular news articles, along with helping everyone who reads the site to hopefully make informed decisions in what they should purchase in respect to the quality of the products. Winner of Best Online Animal Rights Story – ‘The Forgotten Animals’ by Laura Thornton. Animal Agena is a place for animal lovers to come for the latest, local animal news and events. News written by Griffith University students. Curated by Claire D’hooghe, Cassandra McDonald and Emma Rayward. Bloggers and citizen journalists come from an array of backgrounds and thus bring varied cultural and ethical values to their blogging. No Fibs asks its citizen journalists to follow the MEAA Code of Ethics, and the journalists’ union has recently made a concerted effort to bring serious bloggers into its fold through its FreelancePro initiative. This would have bloggers committing to a ‘respect for truth and the public’s right to information’ and the core principles of honesty, fairness, independence, and respect for the rights of others. 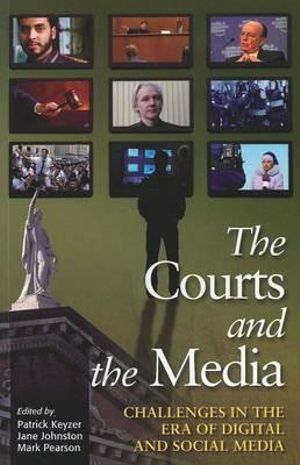 Specifically, they would subscribe to the 12 key principles of fair and accurate reporting; anti-discrimination; source protection; refusal of payola; disclosure of conflicts of interest; rejection of commercial influences; disclosure of chequebook journalism; using honest newsgathering methods and protecting the vulnerable; disclosing digital manipulation; not plagiarising; respecting grief and privacy; and correcting errors. These can be overridden only for ‘substantial advancement of the public interest’ or where there is ‘risk of substantial harm to people’. A decade ago in the US, Cyberjournalist.net cherry-picked the lengthy Society of Professional Journalists Code of Ethics and proposed its own Bloggers’ Code of Ethics. All this is fine for bloggers who are former working journalists, student journalists who hope to work in that occupation, and for serious bloggers who view their work as journalism even though it might only be a hobby or attract a pittance in payment. But many bloggers make the conscious decision not to identify as journalists, and thus need to revert to a personal moral framework in their work. 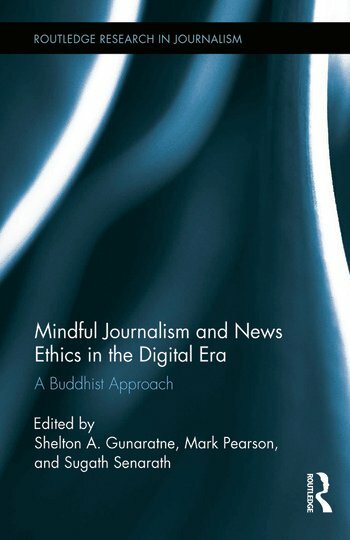 I have been exploring this in recent months and have coined the expression ‘mindful journalism’ after finding that many fundamental Buddhist principles – applied in a secular way – lend themselves to serious blogging when other moral compasses might be absent. Parts of this blog are drawn from my paper delivered to the IAMCR conference in Dublin in June, 2013. Please do not interpret this as an attempt to convert bloggers to Buddhism. I am not a Buddhist and believe that followers of any of the world’s major religions will find core values in their scriptures that serve this process just as well. It is just that Buddhism’s Eightfold Path is a simple expression of key moral values that can underscore ethical blogging: understanding free of superstition, kindly and truthful speech, right conduct, doing no harm, perseverance, mindfulness and contemplation. 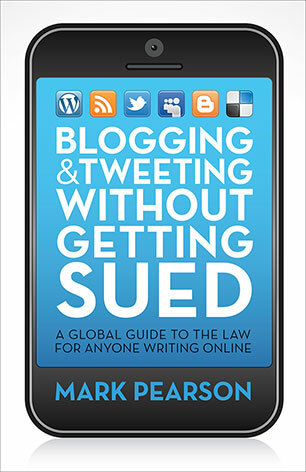 It was while writing my recent book Blogging and Tweeting Without Getting Sued (Allen & Unwin, 2012) that I decided a guide to safe online writing required more than a simple account of ‘black letter law’. It forced a re-examination of the fundamental moral underpinnings of Internet and social media communication. Being safe legally normally requires a careful pre-publication reflection upon the potential impacts of one’s work upon one’s self and others – or what a Buddhist might explain in terms of ‘mindfulness’ and ‘karma’. This is premised on the belief that journalists and serious bloggers can adopt a mindful approach to their news and commentary which requires a reflection upon the implications of their truth-seeking and truth-telling as a routine part of the process. They would be prompted to pause and think carefully about the consequences of their reportage and commentary for the stakeholders involved, including their audiences. Truth-seeking and truth-telling would still be the primary goal, but only after gauging the social good that might come from doing so. So what are these core principles and how might they apply to an election blogger? Each of the constituent steps of the Eightfold Path – understanding free of superstition, kindly and truthful speech, right conduct, doing no harm, perseverance, mindfulness and contemplation – has an application to the modern-day practice of truth-seeking and truth-telling – whether that be by a journalist working in a traditional media context, a citizen journalist or a serious blogger reporting and commenting upon political news. Let’s explore its eight steps. 1. Right views. A fundamental principle of Buddhism is that all things in the world are at once impermanent, unsatisfactory and non-substantial. News, too, is about the impermanent and the unsatisfactory. It is premised upon identifying to audiences what has changed most recently, focusing especially on the most unsatisfactory elements of that change. The notion of ‘right views’ can incorporate a contract with audiences that accepts a level of change at any time, and focuses intention upon deeper explanations of root causes, strategies for coping and potential solutions for those changes prompting the greatest suffering. In election blogging, it moots for less scare-mongering, more careful consideration of policies and the clinical testing of claims. 2. Right intent. This calls upon the blogger to reflect upon the genuine motivating reasons why he or she is blogging at all, then why they might be writing this particular commentary, and finally why they are selecting a particular turn of phrase or quote to make a point. Such a reflective approach can be revealing. How is humanity being improved by this action? Is it motivated in some way by ego or for the betterment of society? This might prompt a change in mindset from bringing news ‘first’ in a competitive sense but ‘best’ and most meaningfully to an audience in a qualitative sense. Of course, it would not be ‘news’ if were not delivered relatively soon after its occurrence, but in this era of instant communication this step reinforces the notion of ‘responsible truth-seeking and truth-telling’ – authoritative and credible news and commentary, obtained ethically, and delivered as soon as possible (after such reflection) to retain its relevance and utility without losing its veracity. 3. Right speech. This step relates to both truthful and charitable expression and, interpreted narrowly, that second element could present a fundamental challenge to the very concept of political commentary as we know it. It certainly places serious questions about the gossip and mud-slinging orientation of much political coverage. 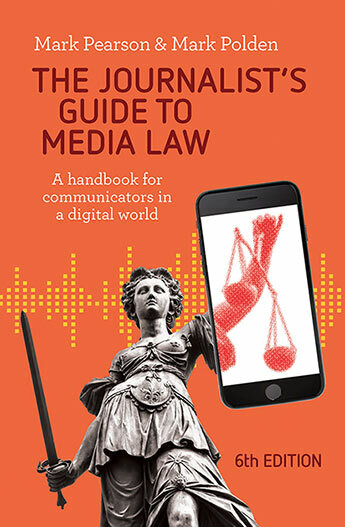 The notion of telling the truth and being accurate lies at the heart of journalism practice and is foremost in most ethical codes internationally. While a single empirical fact might be subject to scientific measurement and verification, any conclusions drawn from the juxtaposition of two provable facts can only constitute what a scientist would call a ‘theory’ and the rest of us might call ‘opinion’. 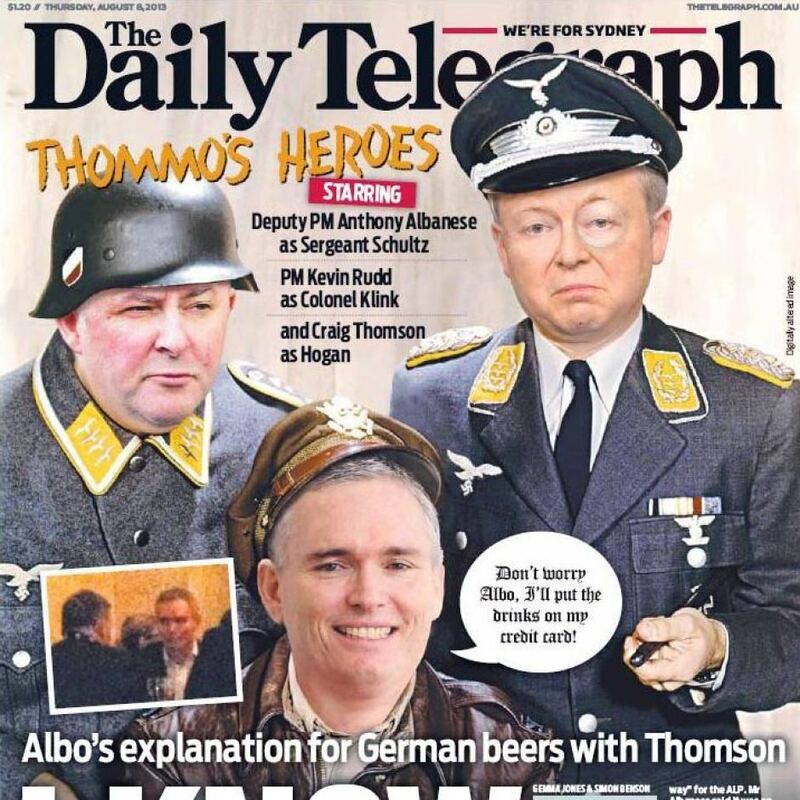 Gossip about the private lives of politicians, barbed commentary, imposing labels upon them like the “Flimflam Man”, the “Mad Monk” or “Dr No”, and cynical mock-ups like the Daily Telegraph’s Hogan’s Heroes front page all fail the test of ‘right speech’. That is not to say harsh and uncomfortable truths must not be told. It is the way they are told that is crucial to this principle. What will the consequences be for my colleagues, Fairfax, other parties and me? What would happen if my conduct was reported in a rival publication? While this approach seems to focus on the potential for shame for a transgressor, it offers an example of a media outlet attempting to encourage its employees to pause and reflect in the midst of an ethical dilemma – what educationalist Donald Schön (1987, p. 26) called ‘reflection-in-action’. 5. Right living. The Buddha identified certain livelihoods that were incompatible with a morally pure way of living, shaped of course by the cultural mores of his place and time 2500 years ago. They included poison peddler, slave trader, prostitute, butcher, brewer, arms maker and tax collector. Some of these occupations might remain on his list today. We are left to wonder how the worst of political coverage – intrusion, rumor-mongering, name-calling, mud-slinging, and agenda-pushing for commercial purposes – advances the enterprise of journalism or the personal integrity of an individual journalist who chooses to ply that trade. This is where political bloggers working outside the mainstream media can distinguish themselves by applying a mindful approach to their work. 6. Right effort. The step of ‘right effort’ was directed by the Buddha in a predominantly spiritual sense – a steady, patient and purposeful path to enlightenment. However, we can also apply such principles to the goal of ethical blogging and citizen journalism in a secular way. We might sometimes see the hurried scoop and accompanying kudos as an end in itself. There can also be an emphasis on productivity and output at the expense of attribution and verification. Of course, stories and blogs could evolve into lengthy theses if they were afforded unlimited timelines and budgets. Commercial imperatives and deadlines demand a certain brevity and frequency of output. Both can be achieved with continued attention to the core principle of purposeful reflection upon the ethics of the various work tasks and a mindful awareness of the underlying mission of one’s enterprise. External factors will continually threaten a blogger’s commitment to this ethical core, requiring the ‘right effort’ to be maintained at that steady, considered pace through every interview, every blog, every working day and ultimately through a full career. As the Dalai Lama wrote in Beyond Religion: “The practice of patience guards us against loss of composure and, in doing so, enables us to exercise discernment, even in the heat of difficult situations (p. 142).” Surely this is a useful attribute for the reporter, citizen journalist and blogger. 8. Right concentration. Some have compared ‘right concentration’ to being in ‘the zone’ in elite sporting terminology – so focused on the work at hand that there is a distinctive clarity of purpose. It is such concentrated attention that is required of consummate professionals in the midst of covering a major event. 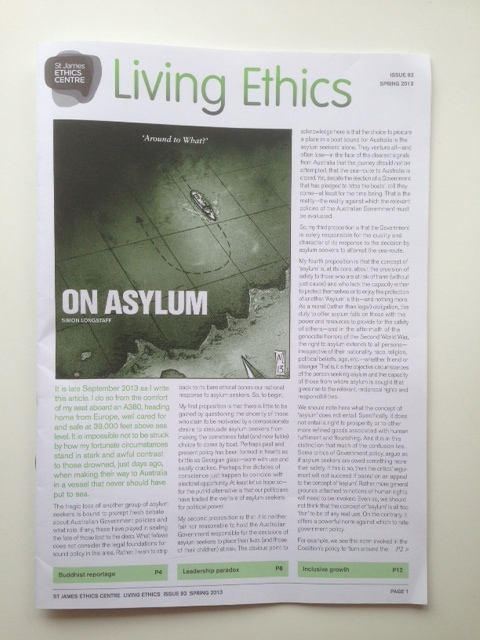 It is at this time that we actually enter ‘the zone’ and are able to draw on core ethical values to produce important reportage and commentary within tight deadlines, paying due regard to the impact of their work upon an array of individual stakeholders and to the broader public interest. It is in this moment that it all comes together for the mindful journalist or blogger – facts are verified, comments from a range of sources are attributed, competing values are assessed, angles are considered and decided and timing is judged. And it all happens within a cool concentrated focus, sometimes amidst the noise and mayhem of a chaotic news event. We cannot expect the millions of bloggers and citizen journalists internationally to abide by a unified moral or ethical code. Some will draw upon foundational principles from the Koran, the Bible, the Torah or Confucianism. Others will reflect upon classic secular guidelines like Dale Carnegie’s How to Win Friends and Influence People or Rudyard Kipling’s If. And some of us might find guidance in these eight steps developed more than two millennia ago.